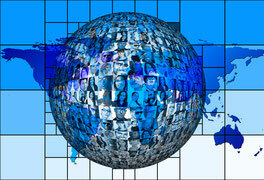 In an increasingly globalized business world contact between people of different cultures has become very common. The fact that people can speak to each other using a shared foreign language – i.e. English – does not guarantee communication, understanding or agreement. The aim of this seminar is Intercultural Competence by means of increasing Cultural Awareness, discovering the idiosyncrasies of your own culture and understanding your image the way it is perceived by members of other cultures. Furthermore your level of sensitivity and tolerance towards members of different cultures will increase, you will learn about the most common sources of misunderstanding and conflict, and find ways to communicate, collaborate and accomplish your goals despite different cultural values. You will receive the confirmation of your registration within 24 hours. “I have been working with multicultural nationalities for a couple of years and was surprised how less I knew about it. This seminar helped me to understand: the different cultures way of thinking, cultures different values and decision making process by Asian cultures. I would recommend this training to anyone who want to know how to be efficient and appropriate on global jungle”. "The instructor was very engaging and able to adapt to our individual needs. It was an interactive class so you weren't just getting talked at. I think this was key to learning the methods and tipps that I needed. I really enjoyed this workshop and found it extremely valuable based on my role. The seminar taught me a lot about how to improve my communication with my coworkers and did a good job to help me understand other viewpoints and perspectives."